A court in Baghdad, Iraq, has sentenced twenty four militants to death for the massacre of hundreds of Iraqi soldiers. 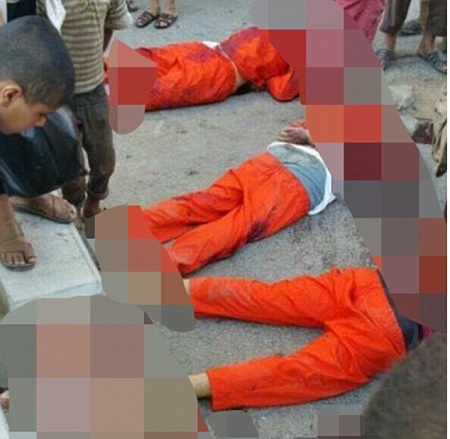 The soldiers were killed when ISIS soldiers took over the Town of Tikrit. Tikrit is the hometown of former Iraqi leader, Saddam Hussein. When Iraqi soldiers took back Tikrit from the militants, mass graves where discovered where hundreds of slaughtered soldiers and recruits had been buried. An estimated 800 men were massacred. Although all 28 defendants entered a plea of not guilty, only four of them were acquitted as a result of lack of evidence.